Veteran comedian and character artiste 'Sutti' Velu died at a Chennai hospital in the wee hours of Sunday. He was 65 and is survived by wife and four children.The actor had been ailing for some time and undergoing treatment at a private hospital in Chennai where he breathed his last at around 3:30 am. Born on August 7, 1947, Kurumuddali Lakshmi Narasimha Rao (Sutti Velu was his screen name) was interested in acting even in childhood and joined the theatre at the age of seven. He was introduced to the film world in 1980 by director Jandhyala in the film Mudda Mandaram. He became very popular and went on to act in over 200 films and numerous television serials. He played a character named Sutti in a film, Nalugu Sthambalata, in 1982 which became an instant hit and he came to be known as Sutti Velu (he was called Velu as a child). 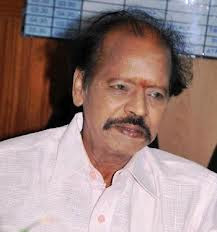 Paired with another veteran comedian 'Sutti' Veerabhadra Rao in several Jandyala-directed films, he gave several memorable performances and received the Nandi Award for best supporting actor in the film Vandemataram in 1985. His performance in Pratighatana was also well acclaimed. Anando Brahma, one of the soaps he acted in, stands a testimony to his versatile acting. The death was mourned by several artistes in both Tollywood and Kollywood. Many of them went to Chennai to pay their last respects to the departed soul.